A Mixed Planting of Art Works in the Suburban Pavilion - the big shed at the bottom of the garden. I'd like to thank all my artist friends for their support in planning out this Art Sale. 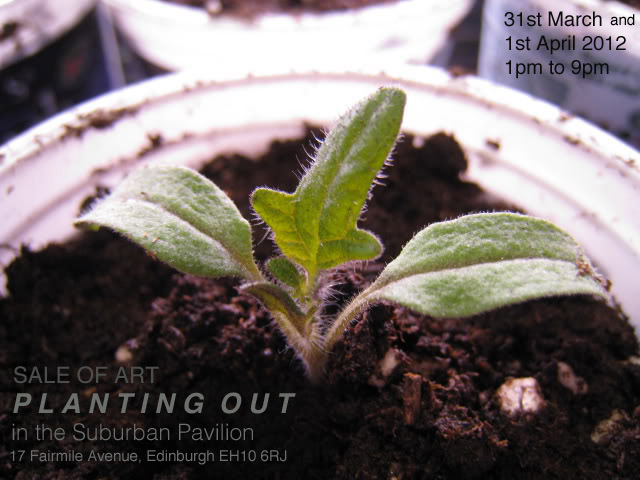 I will be raising funds for the Back Garden Biennale event in June and I have asked 14 (at the last count) of my good art school friends to help out and submit some of their art to sell. Please contact me if you would like to know more. The Buffoonery Spreads from the Shed. I've just edited a short film of Ben and Alistair's performance from the Panic and Picnic event in the Suburban Pavilion in October. We shall see more buffoonery this year from these strange characters as word gets out and new venues and audiences are exposed to their dark and humorous performance.